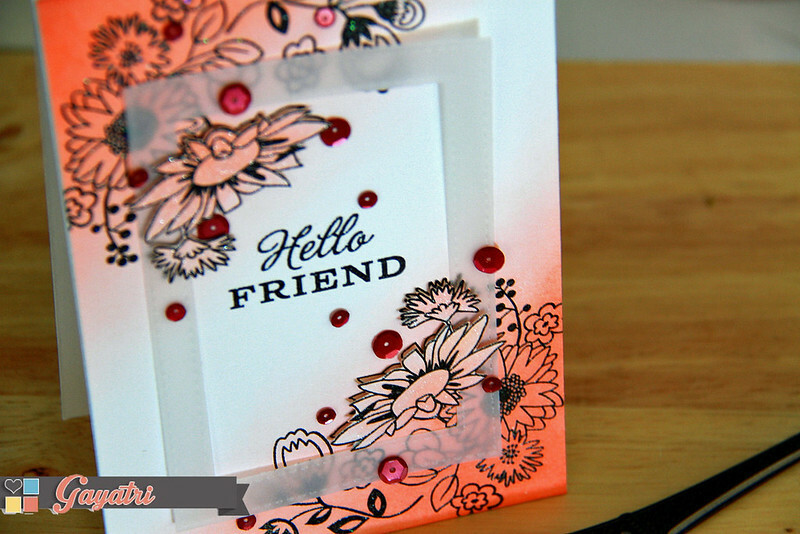 A blog Named Hero – Embossing Challenge! Sharing with you this month’s first challenge at A Blog Named Hero. It is all about embossing – dry or heat. it is up to you. I have used Hero Arts Basic Grey stamp set called Good day to make my card. I simply stamped the flower images using Versafine Black ink then clear heat embossed them. Then sponged some Ripe Persimmon distress ink to bring the heat embossed images to the front. I also did the same process on a scrap piece of white cardstock, then cut out the flowers by hand. I then die cut a frame using MFT die and vellum cardstock. I adhered the frame on the card front using foam adhesives and then the cut out flowers using foam as well. I made sure the foam adhering the vellum frame is behind the cut flowers so they don’t show. Sentiment is also from the same stamp set also heat embossed. I mixed some glitter to my clear embossing powder so there is some glitter on the embossed images. Finally I have used Pretty Pink Posh’s Cranberry 4mm and 6mm sequins. Come and play along the challenge with me at A Blog Named Hero. Oh so beautiful Gayatri, the vellum frame and the added sparkle are perfect! So gorgeous, Gayatri! Love the cut flowers on top of the vellum frame and color choice. Beautiful card. I love all the details you shared. So many different steps but so worth it. Thanks for sharing. 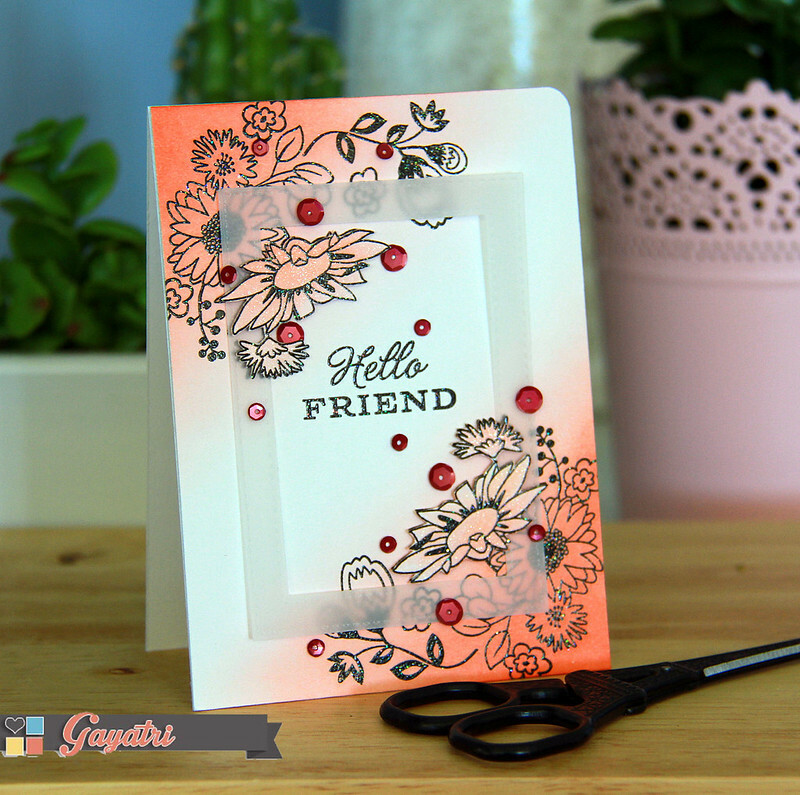 Beautiful Gayatri – LOVE the vellum frame (clap clap)! Love it! The soft sponging is amazing in the corners. Also like the vellum frame.